Three granite blocks, 2-3ft high, forming a circle 24ft in diameter. (The Name Book examiner, adding 'better termed a cairn' has deleted 'Stone Circle'). Three stones remain of this circle, 18ft 10ins in diameter. The sandstone blocks are 2ft 8ins above ground. One stone (A) is recumbent, it measures 4ft 3ins long, 3ft 4ins broad and 2ft 3ins thick. The E stone (B) is 2ft 9ins broad and 2ft thick. The N stone (C) is 4ft broad and 2ft 8ins thick. The centre has been disturbed and there is no cist present. Source: J A Balfour 1910. 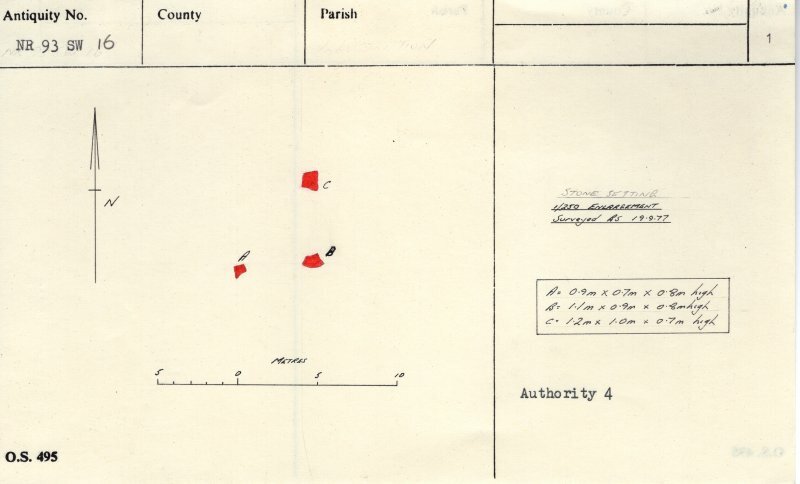 A setting of three boulders as described by Balfour. There is no surface evidence of other stone and the surrounding peat layer is featureless. 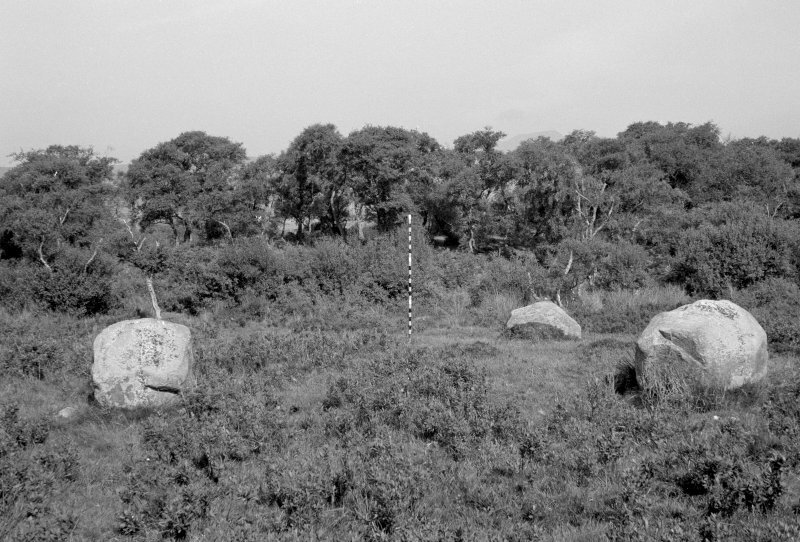 It is not possible from ground evidence to describe these stones as a circle, but they could have formed a 'four poster' type of monument. Visited by OS (B S) 16 September 1977. These boulders set in a triangle appear to be the remains of a 'four poster'.